Soon after his ex-wife reveals she’s expecting her first child together with her husband Ant Anstead, Tarek gushes about fatherhood on social media. Christina Anstead is soon to be a mother again. The “Flip or Flop” star has announced that she is expecting her first child together with her husband Ant Anstead. The real estate investor and TV personality took to social media to reveal the baby news. Christina, previously known as Christina El Moussa, posted on Instagram a photo of her sharing an embrace with her husband while she is holding out an ultrasound photo. “@ant_anstead and I are so excited to announce #babyanstead coming this September!! The kids are all so excited to meet their new sibling #5,” she wrote in the caption, adding the hashtag #Gonnaneedabiggercar!. The unborn baby will be the third for both Christina and Ant. 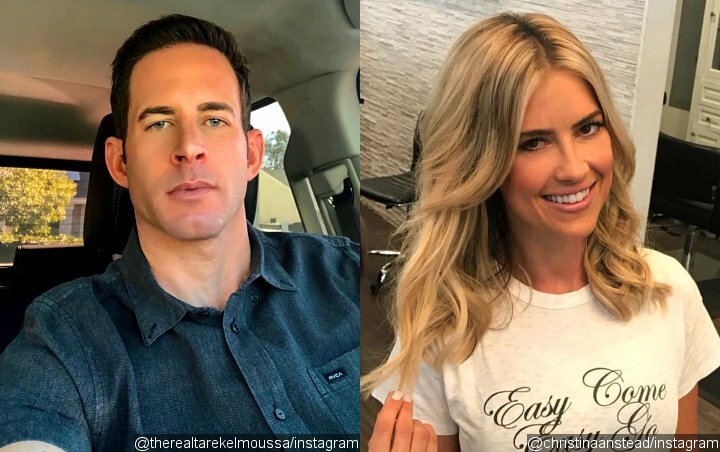 Christina shares 8-year-old daughter Taylor Reese and 3-year-old son Brayden James with ex-husband Tarek El Moussa. Ant, meanwhile, is already father to 15-year-old daughter Amelie and 12-year-old son Archie from a previous marriage to ex-wife Louise. After Christina made the baby announcement, Tarek took to his own Instagram account to boast about fatherhood. “My loves my life my everything .. this picture represents the most important part of my life…being a father!!!! !” he wrote along with a picture of him and his two kids. “No matter what happens during my day…I never take negativity home with me. When I have my babies I come home and can’t help but smile. I smile because I know no matter what we all love each other and nothing can break our bond. I just adore these two:),” he continued sharing. Christina and Tarek filed for divorce in 2017 citing irreconcilable differences after eight years of marriage. Their divorce was finalized in 2018. While Christina began dating Ant in November 2017 and got married in 2018, Tarek has never been publicly dating anyone.